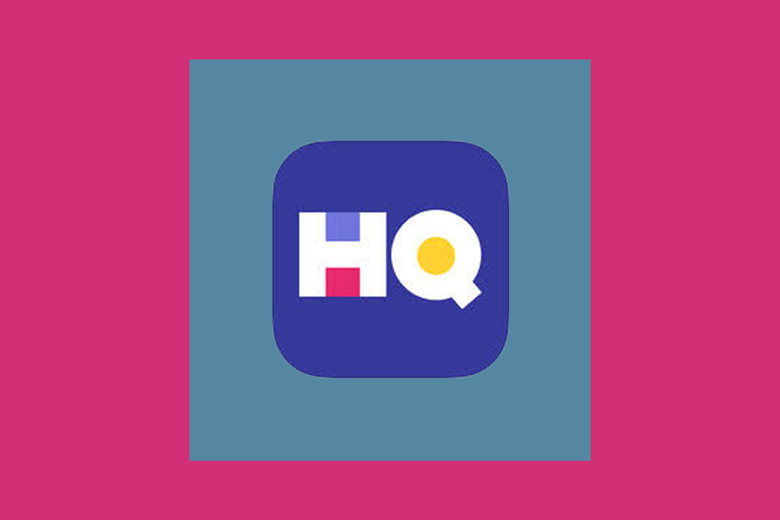 Over one million people tune in to play the quiz app daily, but no one has successfully hacked HQ in order to gain a significant advantage. Hacking the HQ trivia app has been a white whale in the development community since its meteoric rise became the subject of New York Times profiles and late night show segments. The person who has come closest, however, is a 33-year-old dad and web developer in Canada, who found a way to plug into the HQ’s back end and spit out likely answers—before the question even appears on most users’ screens. In a few Daily Beast tests, it correctly answered about 90 percent of the questions. In the most recent test on Tuesday night, after we asked HQ about bots on its platform, that dropped to 40 percent. HQ Trivia Assistant accesses the app’s API via a proxy connection with the user’s computer. It then pulls in and displays each question seconds before the host, Scott Rogowsky, announces it on screen and spits out a list of the answers with percentage points next to each, showing how likely each query is to be correct. The bot accomplishes these results by grabbing each question from the app’s transcript via its API, simultaneously searching the question via both Google and Yahoo search, then scraping the preview text on each link for words contained in each answer. The bot is not without flaws and far from guarantees a win. In fact, Mike Almond, the creator, said he hasn’t won once with the bot's assistance. One web developer who tested the bot made it all the way to question 11 with the bot's assistance one day, then was eliminated on the third question the next day. Part of that is because the bot has trouble handling certain queries. If all all three answers have the same word in them for instance, or if the answers include numbers, dates, or ranges it throws the program for a loop. Almond said there were probably ways to fix these bugs, but he hasn’t had the time. He created the bot more for his own entertainment and to better understand how the app worked than to game the system or win serious cash. The bot currently works best as a helpful tool for when users aren’t completely sure of the answer to a specific question rather than a silver bullet solution to the app. It will sometimes return results with an even split, each query receiving a near 33 percent chance. In other cases the Google and Yahoo results will conflict with each other. (Strangely, as Almond told us, Yahoo tended to be more definitive and also more correct.) Or the answer it gives will be straight up wrong. 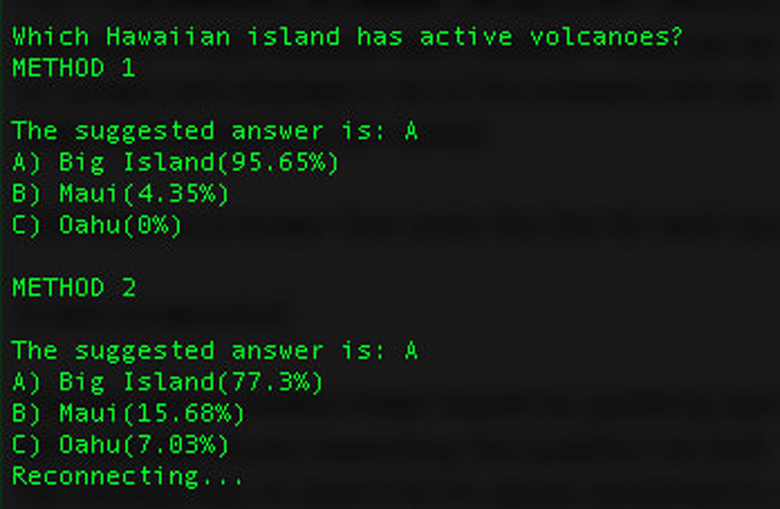 In a particularly tough test, the bot figured out a seeming trick question in the game’s final round. The correct answer to the question “What car is sung about by Will Smith, Charli XCX, and Janis Joplin?” was “Porsche”—and not “Mercedes Benz,” a famous Janis Joplin song. Only 33 people worldwide got that question right—and the bot was one of them. When The Daily Beast leveraged the bot on Tuesday afternoon’s game, we were eliminated on the sixth question. On a later test that evening, the bot produced wrong answers for eight of the 12 questions. When reached for comment on Tuesday evening, an HQ spokesperson said that the company “expressly reserves the right to disqualify any entries that it believes in good faith are generated by an automated means or scripts.” Any entries that are found to be generated by script will be marked as void. Almond said that the bot works best as a tool to double check your gut response or to allow you to better guess on questions where you have no idea about the right answer. If he’s not out picking up his kids or running to a meeting, Almond and his co-workers often play the game together at 3 p.m. using the bot’s assistance via a large projector screen at the office. He said building the app took him a total of only eight hours and once he placed the code for the app on Github word of his creation began to spread in the web development community. After weeks of both users and winners increasing each day, HQ users in the embedded comments section have for weeks blamed the surge in users with perfect scores on bots. That in turn has led to split purses and rapidly dwindling prize money. One viral video from earlier this month showed a woman crying with excitement after winning $11.30 on the app. Users who win can’t withdraw their winnings without earning a total of $20, meaning she’d have to achieve another perfect game before cashing out. Almond believes a secret army of bots like are likely his are at least aiding winning players. He’s seen similar implementations of his HQ Trivia Assistant, but ones that use a method that is inherently much slower. Those apps take a snapshot of the question using OCR, or optical character recognition, then spit back probable answers just in time for the user to decide. Nobody until Almond had developed a piece of software that plugs into the back end of the app itself. At least not publicly. Because of the technical nature of his program, Almond said he’s had several people reach out to him and ask how to implement it. He acknowledges that getting the bot set up is not easy for those who aren’t intimately familiar with the way computers work. Almond said he encourages others to refine his code and fix the glaring problems—namely, what to do when all of the answers have the same word in them—but he’s run into a much bigger problem: He’s a 33-year-old dad, and he doesn’t really have time to mess with his game show app hack at the moment. “I think well if someone can make a better or fix the weird thing with dates or numbers by all means go nuts,” he said.